These wristbands have been designed and hand crafted by young women who have begun a new and safe life having escaped the horrors of human trafficking. 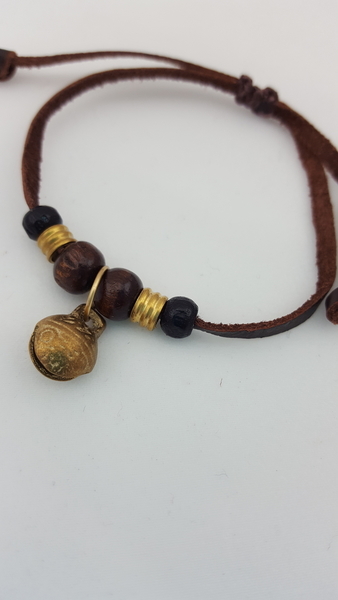 Each features either a tiny brass Tibetan bell or silver Tibetan bead along with wooden beads and a leather strap. Each wristband also features a slip knot, making it fully adjustable to fit any adult.